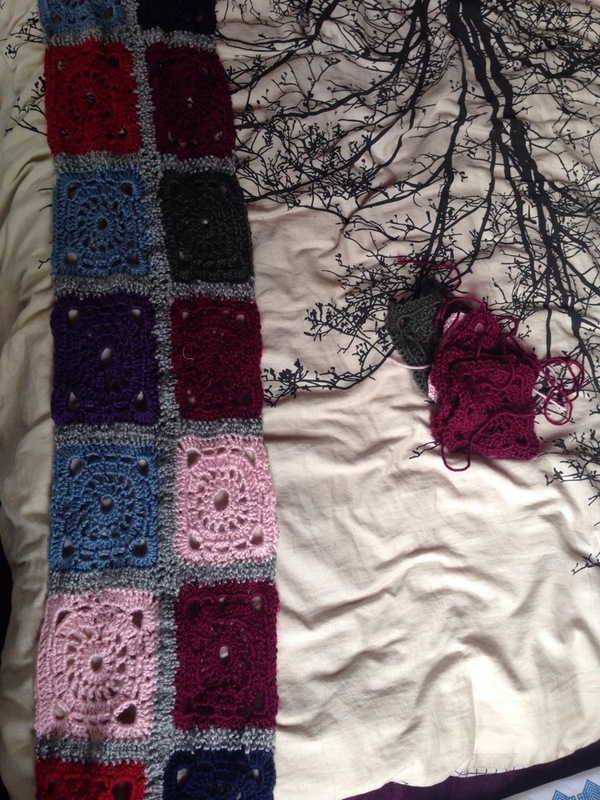 My crochet blanket is coming along like a house on fire. That’s a pretty bad analogy considering all the bush fires in Australia at the moment. But it’s coming along really quickly. I’m bound to slow up soon. At the moment I’ve got the squares memorised. I still think I’ll be lucky to finish it this year but I’m making a go of it. Lacy and lovely! I like the colors. 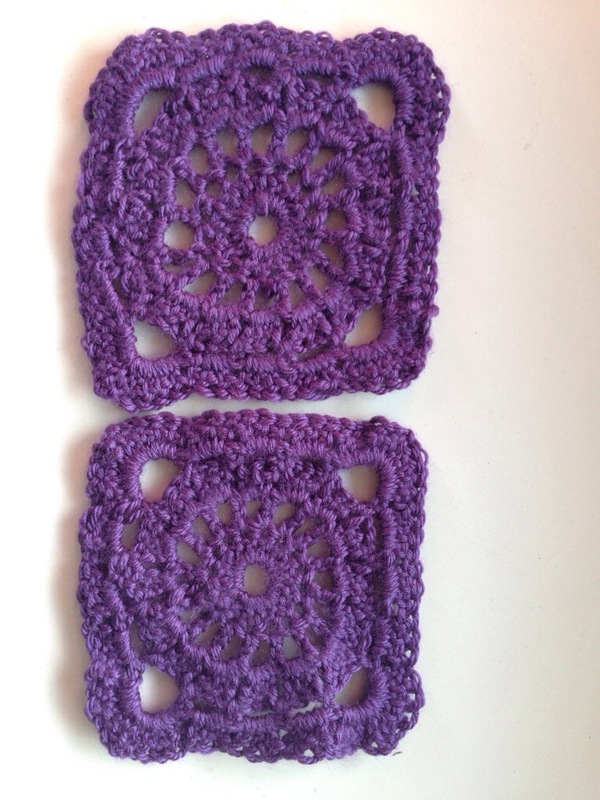 I’m pretty crap at crochet- but you’re giving me the itch! 😛 bee tee dubs (BTW)- I hope you show us that shawl you’ve got all pinned out soon! Ooh the colours are so pretty! The pattern is really lovely too, it looks so lacy and delicate. You are so good joining up as you go….It is a pretty square. this is so cool! 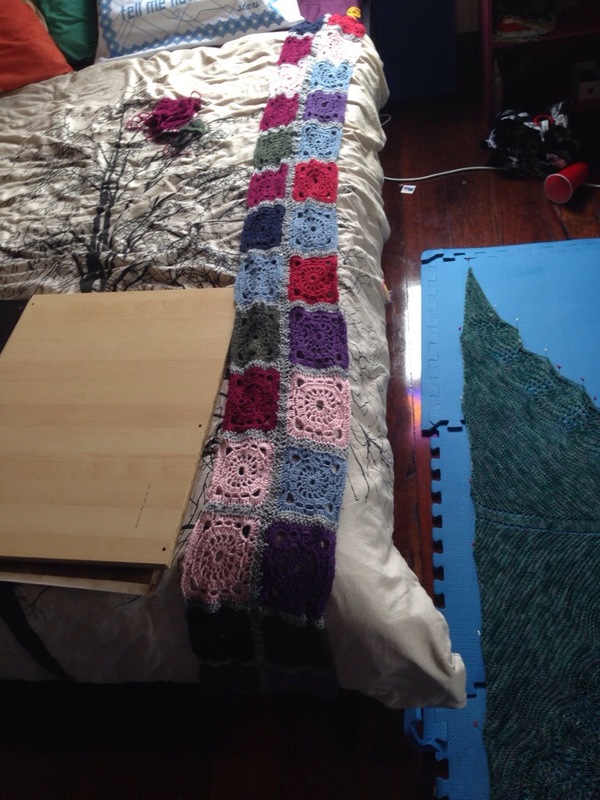 i LOVE crochet blankets, im currently begging my friend to make one for me, this rocks! love love love your blog! andddd I am your newest follower! hey-o! Ooohhh… pretty! ❤ Blankets take commitment, which I’ve not yet found… but have always wanted to make a blanket full of tiny squares like that! How many squares will you need total? I’m a bit scared to know. At the moment I’m just working on having 14 at a time to make a row.